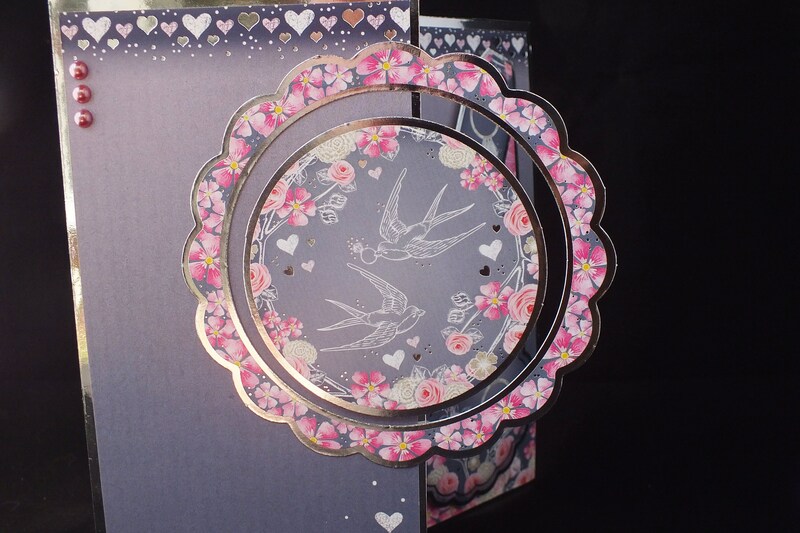 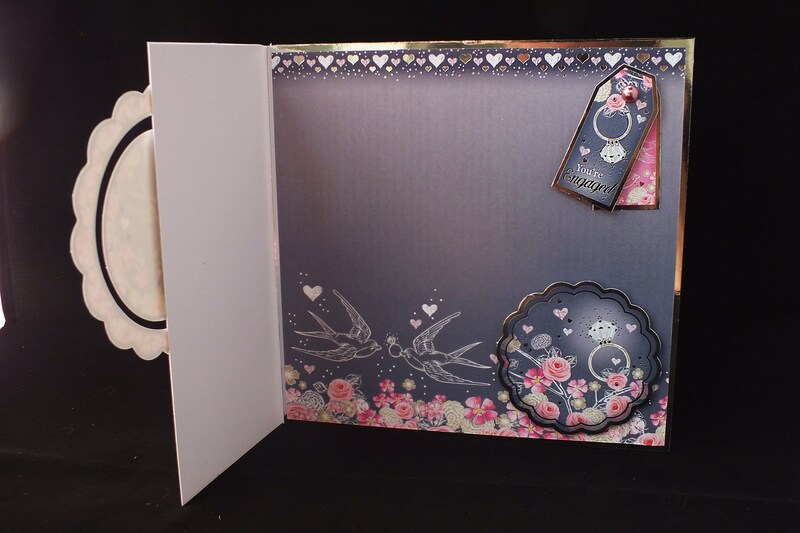 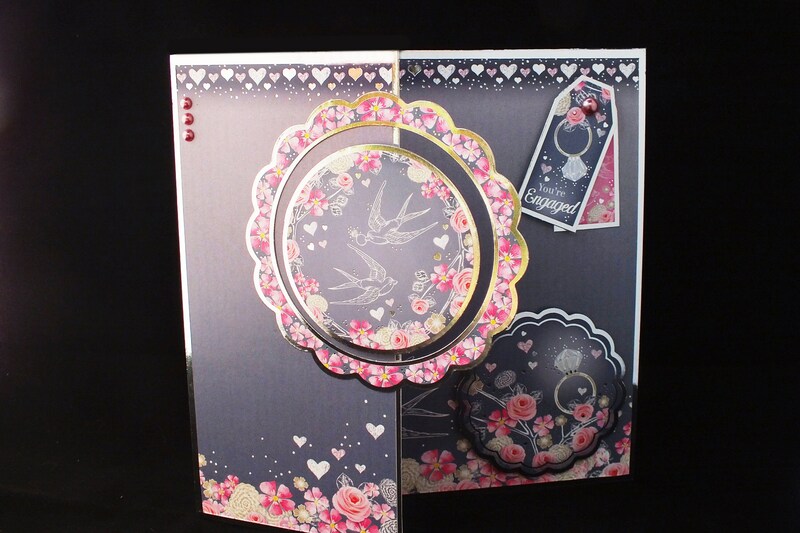 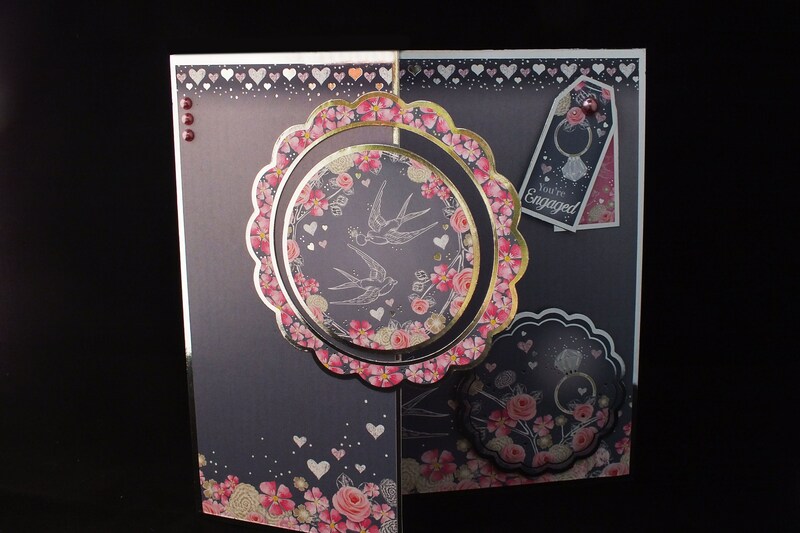 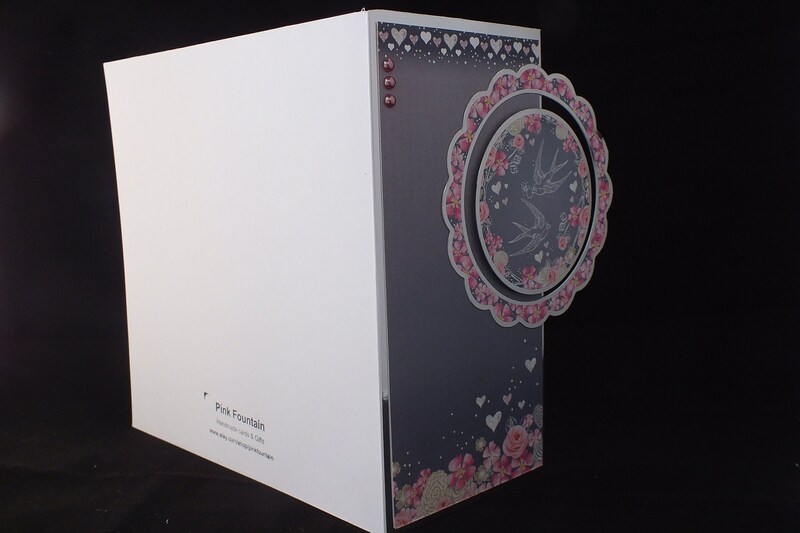 A large engagement card, made from white base card, layered with silver card and grey patterned card, in the centre of the card is a large scalloped edge frame with pink flowers on it, there is a round topper in the centre. 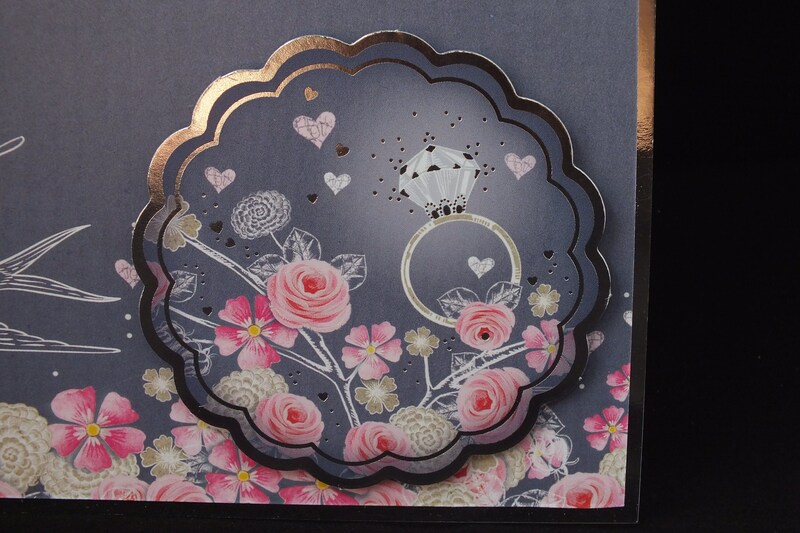 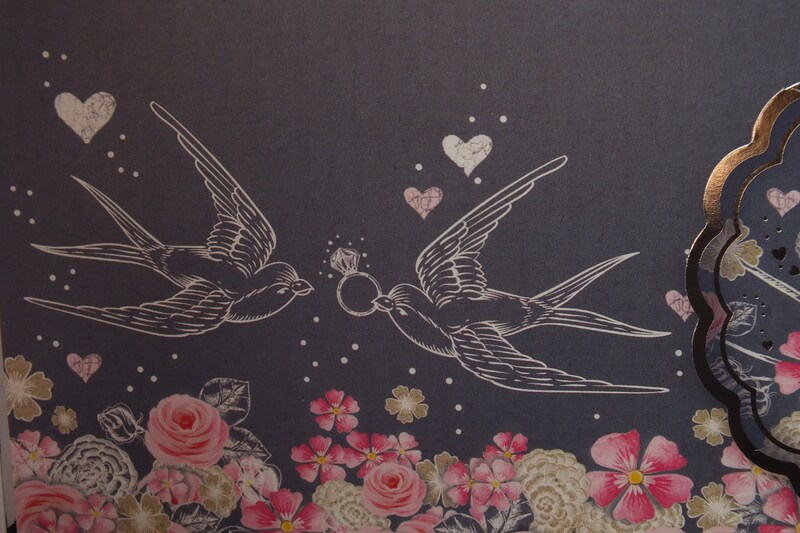 at the bottom of the the card is a smaller scalloped edge topper with a picture of an engagement ring. 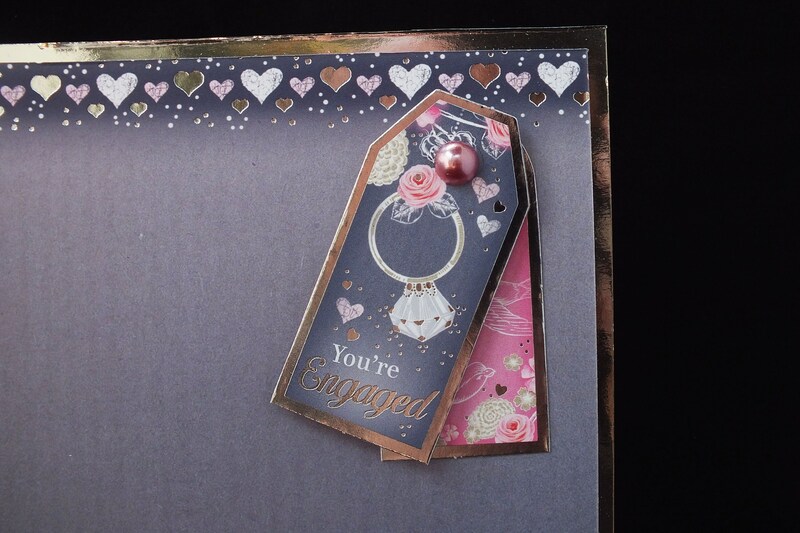 at the top right hand corner are two tags one with a sentiment saying, ' You're Engaged'. 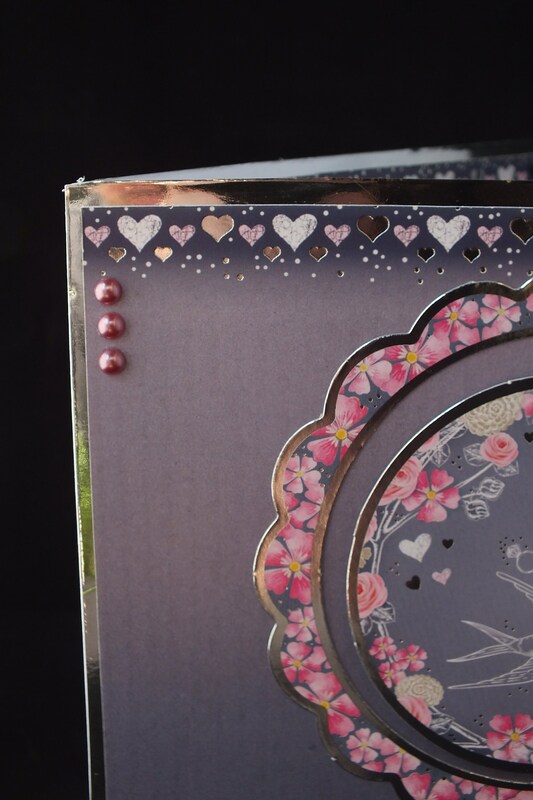 a large pink pearl embellishment at the top of the tags. 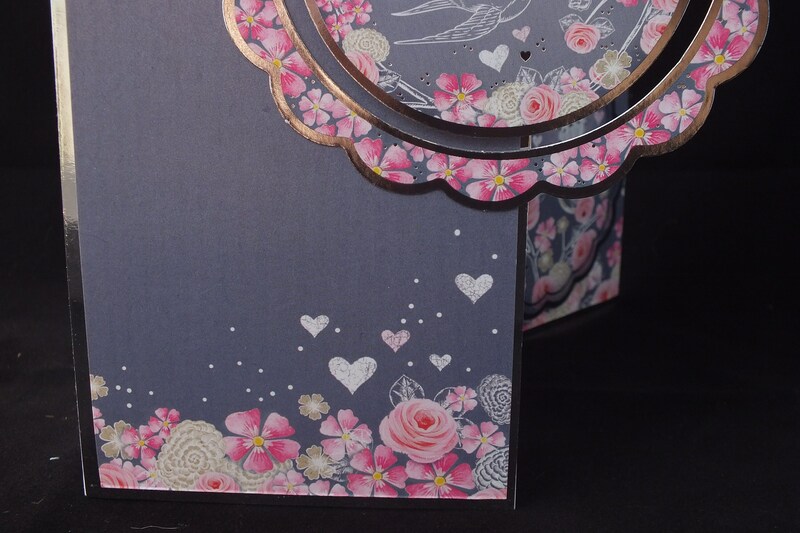 On the top left hand side of the card are three pink pearl embellishments.